I think it’s fair to say that you can tell quite a bit about a person by the type of people they surround themselves with. In Jenna and Michael’s case, they must be wonderful people (and trust me, they are). Both of their families were warm and welcoming to everyone throughout the day. And their friends? They were so much fun to spend the day with. I think I want to be friends with everyone in the bridal party. 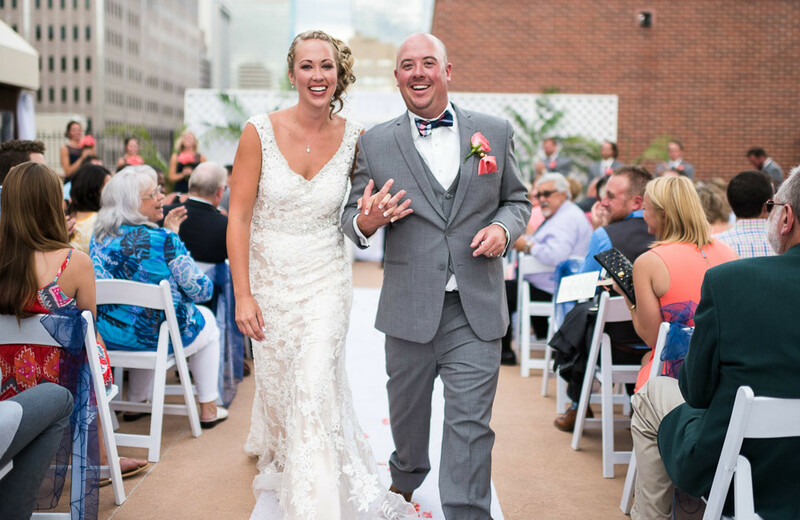 Their wedding was in the heart of downtown Denver, which makes sense since they both absolutely love the city. In addition to doing everything wedding-related at the Denver Athletic Club, we also got out and took some photos around LoDo. It was a beautiful day, with just the right amount of cloud cover while we were outside to keep the temperature down and the light gorgeous. If you missed it the first time around, take a minute to check out their engagement session. Beautiful photos John. You captured Michael and Jenna's love of life, and each other. You were a joy to work with. Thanks so much. Joy and JJ Are Engaged!